A vibrant town with a large port and yachting community. 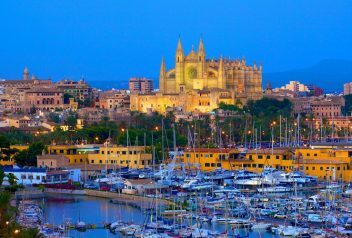 Portal Nous is a small town that is situated only 10 km from Palma and is where the British often buy their second homes. The town is well placed above the marina and there are a number of convenience shops and cafes. It is very small town and there is not much to do but it does have a lovely beach with one of the best bars on the island and it could be quite easy to spend a week there enjoying the soft sand and the calm turquoise sea. A popular attraction for families with young children is the Marineland that is situated in the resort of Portal Nous. The park is situated on the Costa d’en Blanes beach and has a good reputation for delivering the shows in an exciting manner. At the Marina, you can see shows with performing sea lions, parrots and dolphins. At the club, there is an underwater tunnel which allows you to get up close to the dolphins and one of the reasons why the children and adults alike enjoy visiting the Marineland. There are a few golf courses but the main attraction is the mini golf course which offers an informal and relaxed game of golf. The golf courses are set in the tropical forest where one can come across the wildlife of the area in amongst the waterfalls, caves and lakes. 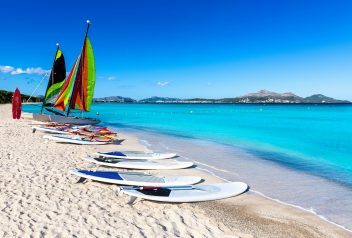 There are activities that you can do from Portal Nous as most the towns are close by such as Palma, Magaluf and you can also visit markets in the towns nearby. Most of the hotels are situated in the surrounding areas of Portal Nous but there is one Boutique Hotel that is situated above the marina of Puerto Portals. Along with its luxury accommodation, it also has a spa, swimming pool and its own club. If you travel a little further east there is the beautiful Hotel Bendinat which is situated on the coast so there are breathtaking views from the Hotel and the gardens surrounding it. It as access to 7 golf courses that are in the area and have negotiated reduced green fees for their residents. 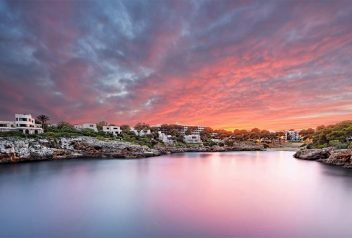 To the east of Portal Nous, there are two boutique hotels which are situated on the headland of Punta Negra. Further up the hill, you can find rental villas that are available year round. There is not much of a nightlife in Portal Nous itself because the town is quite happy with having a quiet leisurely existence but it does host a few restaurants. 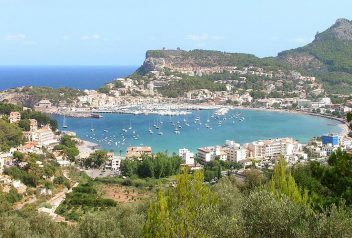 There are also restaurants in the towns that are close by such as Bendinat and Costa D’en Blanes. 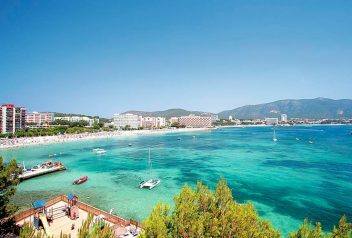 Portal Nous is only 10km from Palma and it is also close to the Magaluf where you can find plenty of bars and night clubs. It is important to note though that even though Portal Nous is close to Palma it does not have any public transport running regularly between the two. There is not much to see as far as historical ruins or building are concerned but there are some attractive buildings with good architecture and you can visit the Parish Church situated above the bay. 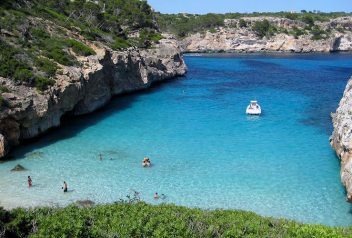 Portal Nous is almost equidistant from Palma and Magaluf so there is enough to do in the area but if it is a leisurely holiday that you are looking for then there is no need to go further that Portal Nous with it lovely quiet beach and there are enough restaurants and shops for you to enjoy your stay while you are there.